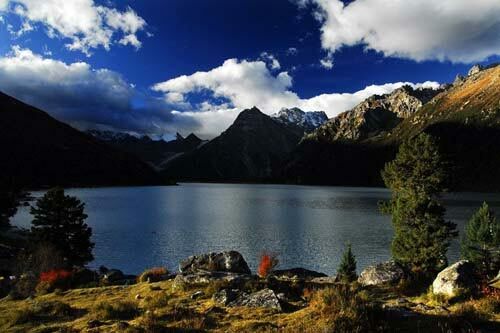 The central government adopted a plan on Wednesday for the protection of Sanjiangyuan Nature Reserve and called for non-State sectors to participate in ecological conservation. A file photo of Sanjiangyuan Nature Reserve. The plan was passed at a State Council executive meeting presided over by Premier Li Keqiang. Private markets should be given full play in ecological protection, and all society should be motivated to participate in ecological protection and construction, according to a statement released after the meeting. The rehabilitation area in the natural reserve, where several big rivers in China originate, will be expanded from its current 152,000 square km to 395,000 sq km, the statement said. "More work should be done to protect and restore vegetation," the statement said. Monitoring and the alarm system will also be improved, the statement said. Song Xianfang, a researcher at the Institute of Geographic Sciences and Natural Resources Research under the Chinese Academy of Sciences, said the plan is "quite timely". "The ecological environment in Sanjiangyuan Nature Reserve is very fragile and is hard to repair once it is damaged," Song said. "The protection of the reserve needs great investment and cannot be done only by the local governments," Song said. "The adoption of the plan by the State Council makes protection of it a national strategy, which can ensure more investment and implementation of the plan." Wang Jianhua, director of the Water Resource Institute under the China Institute of Water Resources and Hydropower Research, said, "Sanjiangyuan Nature Reserve, as an important ecological region, is important not only for China but also for Southeast Asia and even the whole world." About 38 percent to 40 percent of water in the Yellow River, the country's second-largest, is from the area, he said. "It is also very important for North China, which gets a great deal of water from the Yellow River," he said.